Discussion in 'Statues' started by balgus82, Dec 29, 2017. Well guys it looks like Sideshow Collectibles just got the ThunderCats license! If they're anything like their MOTU statues they should look amazing (if not expensive). I liked the first look at their Mumm-Ra statue the most. Their Lion-O should be fun to see once it's revealed. 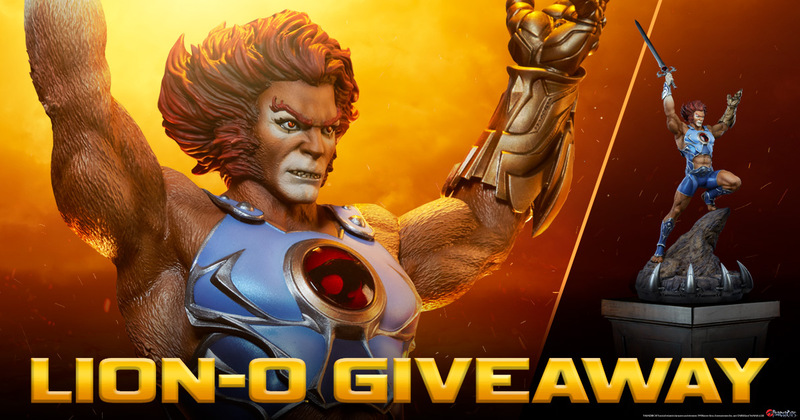 Very Curious to see if they can capture Lion-O's likeness. Seems like it is either hit or miss with the character and so far most companies, in my opinion usually miss the mark. Is there really a market for Thundercats statues anymore? I for one are very excited about the news. Just curious about what the price is going to be for these. I think there may be a small market for the TC statues. There are people who just collect statues and not figures. I got the Icon heroes Cats Lair and Hard Hero Bengali. I love them. I can kick myself that I never got the others and the prices on them is getting ridiculous. I for one won't miss out on these. I guess it is all about the collector. Some like statues and some don't. My preference would also be getting 6" figures. It is more affordable. I'm not a statue collector myself, but I'm loving the fact that there's more TC products on the market. I doubt someone like a reputable brand such as Sideshow will take on TC thinking it won't sell. Even if they stick to the 2 big guns, it's still great to see them having faith in the line. Based on Sideshow's usual pricing I'd guess somewhere between $300-500. It is a steep price to pay. Luckily they offer pmt plans. I really don't want to miss out on these. Thanks for sharing. This Mumm-Ra looks incredible. I am not going to miss out on this even if I have to live on bread and water for a month. Pics, details, and pricing on Mumm-Ra. Exclusive edition comes with a Sword of Plun-Darr (though it's a version that's obviously inspired by the reboot and not the OC). The statue looks pretty good in my opinion. The design they did for the Sword of Plun-Darr I absolutely like. Also...not quite sure why they thought he needed two Cat symbols on his outfit....especially when they put the red symbol in the wrong place. I kinda like this Lion-O. I agree that he should have only one ThunderCat symbol, though. Sadly this looks like a fail. The hard hero Lion-O was ten times more appealing than this and this one is very very underwhelming and disappointing coming from sideshow. That... that Lion-O... he looks...different? 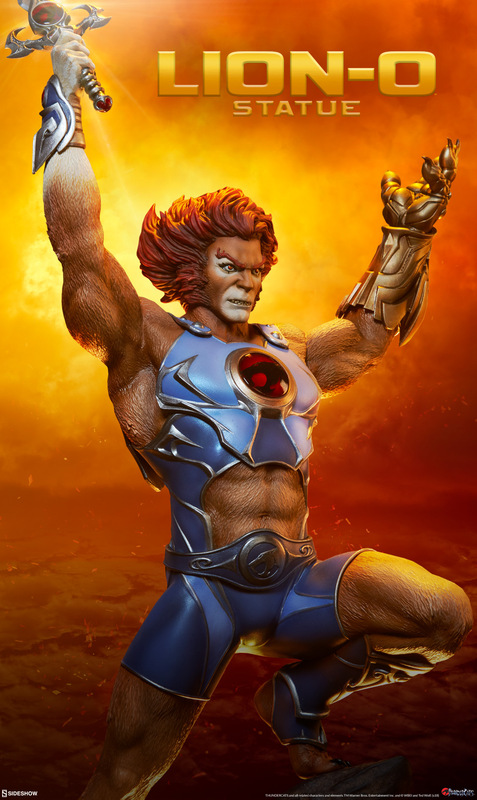 I'm not trying to be mean or anthing, but that is one of the ugliest interpretations of Lion-O I've ever seen. I dont like the shorts, dont like the sports bra, hate the double TC insignia, dont like the bare feet with black nails (? ), hate the Claw/glove and that face... that's just poorly executed. It looks aweful, just aweful. Very awkward pose, very strange design choices overall. I hate the modern, overly ornate, busy look all these statues seem to have. Or have to have. It really clashes with the look and feel of what made the original design special. They should have given this statue a more "2011" inspired head, shoulder armor on is right arm and cover the exposed stomach + sword arm in blue "fabric" and give him full pants, like the 2011design. It still wouldnt appeal to me, but it would at least be consistent in style and form. This just doesnt work [for me]. Agreed. I think the armor feels more like the 2011 version, but those clawed feet are just wrong. The double insignia is sacrilege!!!! Me, I'd get rid of the furry body, give him pants instead of shorts, make his belt thicker and make the red jewel actually on his belt like it's supposed to be and not on his chest at all, give him shoes, simplify the claw shield a bit (or at least give it brown padding on the palm) lighten the skin tone, and then I think I might like it. I actually kinda like the chest armor, and the Sword of Omens doesn't look too bad (though that's the one thing I always think never needs a redesign), and the pose is straight out of the intro so that's ok to me as well. Edit: Heck tbh I might not even mind the furry body as much if he actually had pants. Can see the base better here. Honestly, it doesn't look as bad from far away. Might be ok on a shelf.